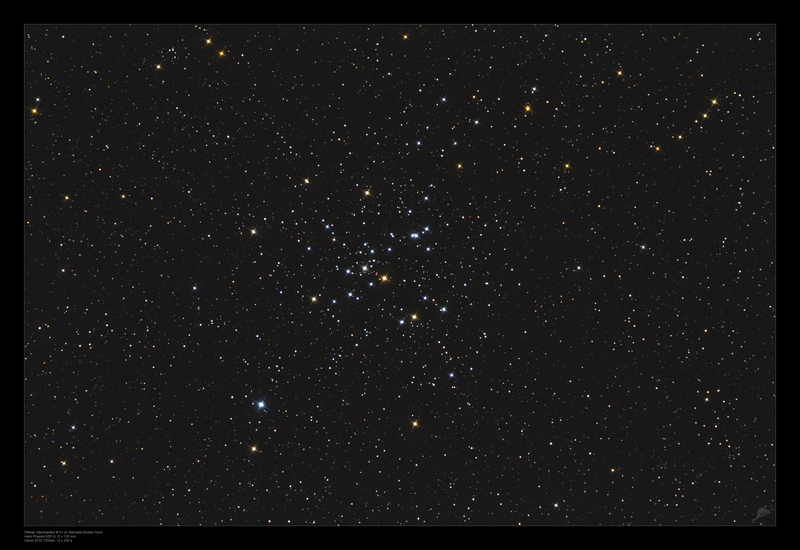 The open star cluster M 41 in the constellation Canes Major (Great Dog) is located at a distance of about 2300 light years. 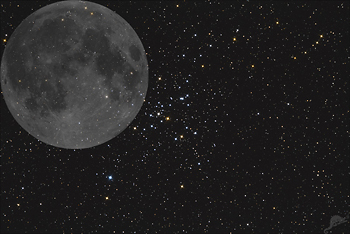 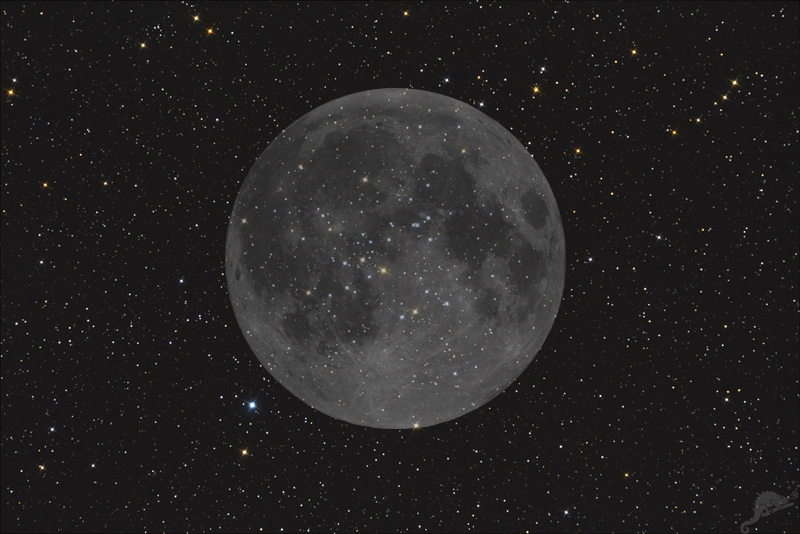 The apparent diameter in the sky is about 38 arcminutes, slightly larger than the diameter of the Moon. 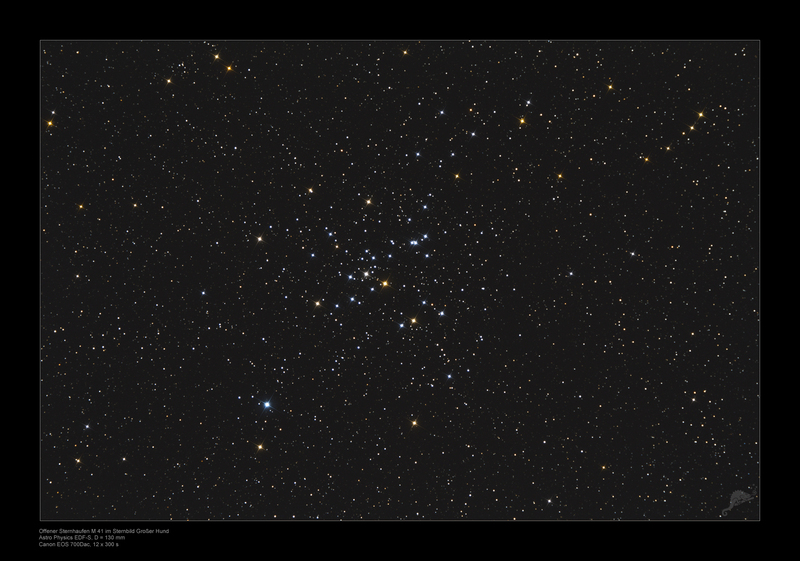 The cluster contains about 100 stars and has an age of nearly 200 million years. 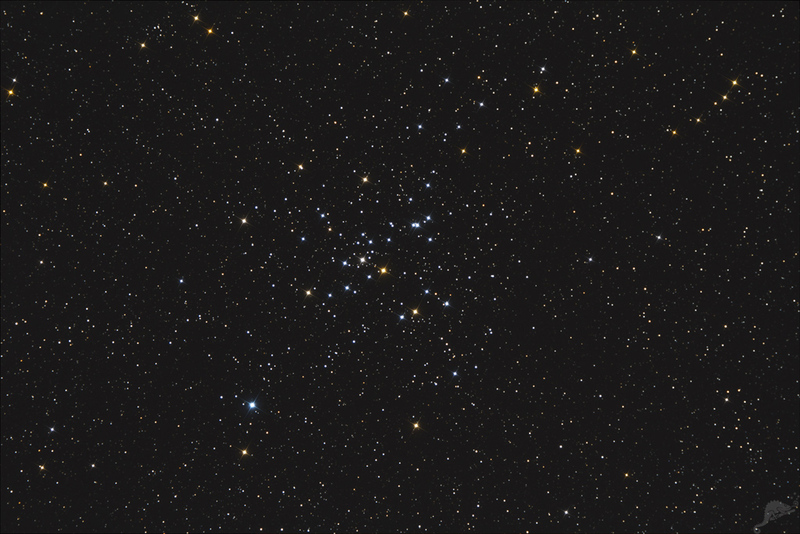 M 41 is located almost exactly 4 degrees south of Sirius and can be recognized with the naked eye in the sky.